08. Will You Love Me Now? 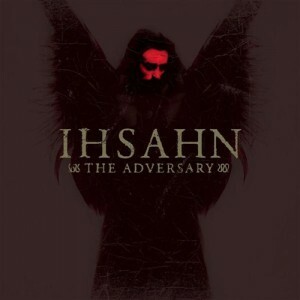 The Adversary is the debut solo album of Emperor front man and multi-instrumentalist Ihsahn. The sound of The Adversary is a continuation of the black metal and progressive metal hybrid that Emperor experimented with on their final album, Prometheus: The Discipline of Fire & Demise. Starting with Invocation, the listener gets a compact overview of what direction Ihsahn is taking as he introduces The Adversary with an intense black metal verse with matching lyrics and a screeched vocal delivery to invoke apocalyptic imagery before crying “let it all come down” which is appropriately accompanied by relentless blast beat drumming, courtesy of Asgeir Mickelson, to tie the lyrics and music together in a dramatic style. Keyboards are employed as a background instrument in both the hard and soft segments of the song, the latter of which lasts for about 2 minutes after the explosive blast beats, and introduces Ihsahn’s clean singing style that goes from even tempered to a strained falsetto wail. 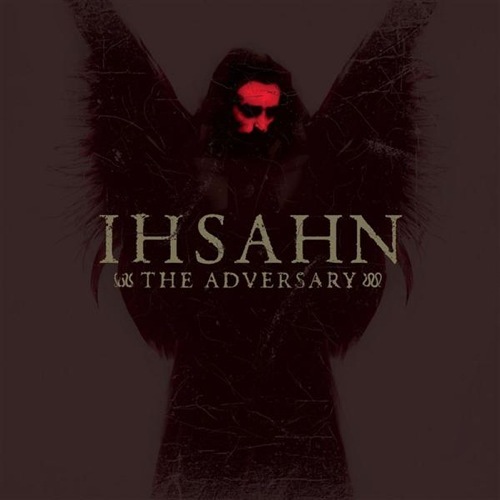 While Ihsahn shows some skill as a singer among his other musical talents Kristoffer Rygg (of Ulver fame) offers a stronger sung performance on Homecoming that can’t help but make the listener think that Ihsahn should have performed the harsh vocals while getting Kristoffer Rygg to cover the sung portion of The Adversary. The music on Homecoming also introduces more textural qualities when Kristoffer Rygg sings and this gives off the impression that at least parts of the song was written with his specific voice in mind but however you look at it, it proves to be a well-executed endeavour. The Pain is Still Mine is a little over 10 minutes long, making it twice the length of the other songs, but it gives the progressive metal strain much more room the breathe as you might expect if you are familiar with the subgenre. It should also be said that most of the progressive metal elements come in the form of each song having several different consecutive verses or instrumental passages and this isn’t the kind of album that lies on the virtuosity end of the progressive spectrum. Like any musician or band that blends polarising genres or sounds together, they must take care to fuse them together properly less they end up with a patchwork quilt of an album at worst or some head scratching transitions at best. In the case of The Adversary this sort of pitfall is avoided in most instances and there are only a couple of questionable transitional sections to be heard. One of these moments is the sudden stop half way into Citizen where you think that the song has ended but before you can finish that thought a piano melody comes out of nowhere and makes you think that it’s an entirely different song. However when this is spliced together with bursts of wrathful vocals and clean guitar playing later in the song the blending of styles is much more convincing. Perhaps the biggest drawback of this album is Ihsahn’s harsh vocal style which can often sound strained like Marge Simpson if she had a sore throat but for die hard Emperor fans wanting more material from one of black metals early stalwart musicians then this will hardly be something to fault. If you are a fan of indulgent-free progressive metal with a harder edge coming from the black metal realm then The Adversary is an ideal and relatively accessible point of reference to start with. 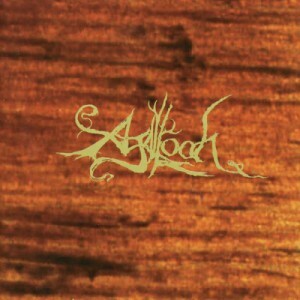 Pale Folklore is the debut album of American heavy metal band Agalloch. The band has lofty ambitions that are shown through their blending of different metal genres, namely black metal and progressive metal, with neofolk and some other non-genre specific sounds. On top of that, these genres are woven into lengthy songs with much of it being composed of instrumental passages. The album is introduced with wind sound effects and a slow guitar melody which goes on for 2 minutes before the distortion is played up and the drums kick in on the first part of the She Painted Fire Across the Skyline trilogy. This quickly demonstrates some of the unevenness that permeates Pale Folklore because Agalloch intentionally use lo-fi production techniques on the black metal elements but not in other places (in the same song no less). 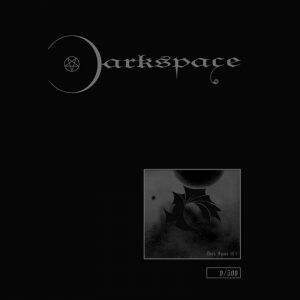 The end result is clunky and muffled percussion that lifelessly patters around in the background while vocalist John Haughm rasp-speaks many of the lyrics, which gives way to the soft, cleanly produced moments with an opera singer wailing before jumping back to the lo-fi black metal sound. She Painted Fire Across the Skyline I and II are bridged together with more wind sound effects before turning into a straight-forward black metal song that lies on the softer end of the spectrum and contains another jarring transition near the end that upsets the flow needlessly. The final part of the trilogy has some quirks about it although it manages to remain the most focused part and it is a better example of their progressive metal song-writing. The dramatic clean singing moment is out of place but the performance by John Haughm deserves praising for his compelling delivery. Tubular bells make a brief appearance later on and they offer an interesting and memorable dynamic that is unfortunately short lived. Agalloch over-indulge on the wind sound effects as they make further appearances on The Melancholy Spirit and Hallways of Enchanted Ebony, which eventually descends into the ill-advised inclusion of animal noises and barking. These needless indulgences take on the form of sound effects more often than not but one exception is the out of place hammering of a piano right at the end of Dead Winter Days, which is an otherwise stand out song. The soft side of Agalloch is fully embraced on The Misshapen Steed, a melancholic ballad-turned-dramatic incidental music piece that has a cinematic quality to it. This song strays outside of heavy metal territory entirely and instead focuses on tasteful piano and keyboard playing. As Embers Dress the Sky is another well-rounded black metal excursion and is the second song to feature the unnamed opera singer. This time the raspy vocals and her own trade off each other in a well-executed beauty and the beast style before transitioning flawlessly into an acoustic passage. The heavy metal guitar work then jumps back in awkwardly and if it hasn’t become clear that Agalloch haven’t quite got the transitional elements of their song-writing down yet then this will convince you. Agalloch are a forward-thinking band that has demonstrated a great deal of potential on their debut album and while their song-writing can be unfocused and unpolished at times, it is clear that they have plenty ambition that if refined will yield some exciting results for the heavy metal community. 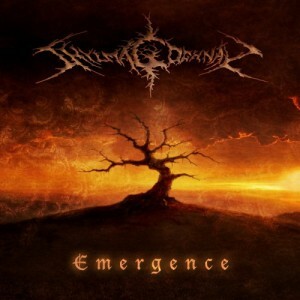 Emergence is the self-released debut album of Dutch metallers Shylmagoghnar. While the core of the band’s sound is black metal they take cues from progressive metal to create longer, multi-faceted passages without ever needing to resort to self-indulgent musicianship. There are also influences from melodic death metal, most notably on the lead guitar, and the band makes good use of this along with tasteful keyboard arrangements to contrast with the black metal aesthetic which manages to be polished and accessible without attempting to pander to anyone. There are 4 instrumental songs to be heard on Emergence. 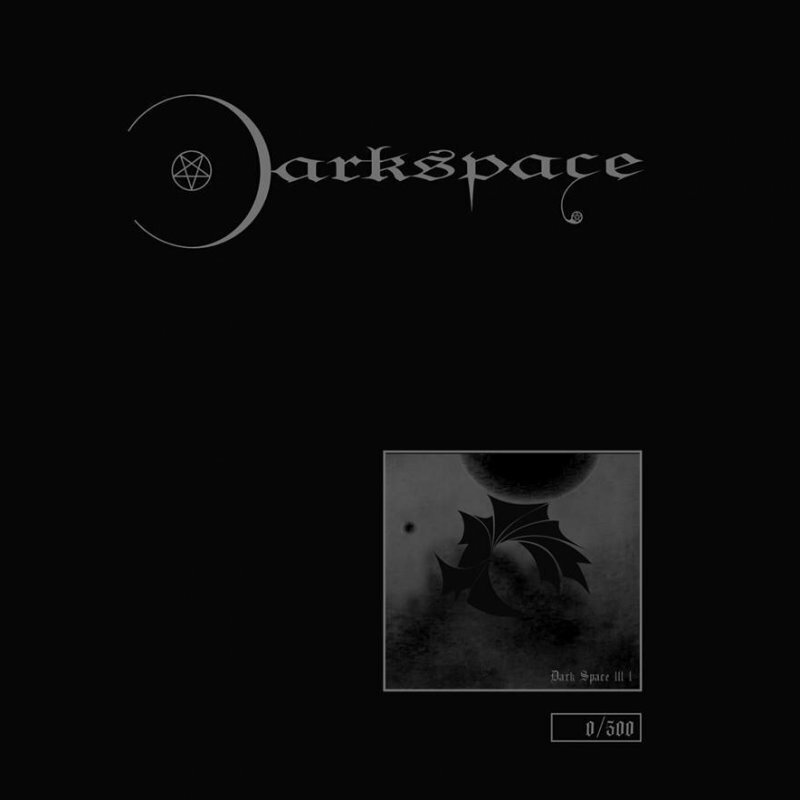 Eternal Forest and The Cosmic Tide are both performed in the aforementioned black metal/progressive metal style whereas I Am the Abyss has noticeable influence from post rock/metal and is the longest song on the album at 9 minutes. This is a bold introductory song that grabs your attention and establishes Shylmagoghnar’s musical vision while expressing a great deal of personality and depth so effortlessly. The Sun No Longer is the final instrumental song and it also brings Emergence to a close all while being the biggest curveball on the album. While Nimblkorg is the primary song-writer, this one was composed by vocalist Skirge and is played entirely on keyboards with a melancholic feeling that isn’t present on any of the other songs. The feeling found here is thematically linked to his lyrics which deal with misanthropy and the end of humanity by citing the self-inflicted death and destruction done to one another throughout history. He then proceeds to mockingly cry “Hail the glorious humankind – Hail! Hail the splendour of our kind!” on Squandered Paradise to express his contempt. While these themes are prominent throughout Emergence the tone changes on A New Dawn when Skirge reflects on his negative assessment of humanity and conclude that “what’s done is done; the dice were cast/and the only path before us lies/striding towards the riches of a new dawn”. Lyrically this leaves Emergence on a hopeful note and looking at the previous songs it appears as though they chronical the duo struggling with the seemingly endless troubles of the world (we once gave in/to endless waves of melancholy/the weight of the world/and the torment of troubled souls) before having an epiphany that allowed them to push on. This World Shall Fall is another curveball found earlier in the album that is best described as “black metal without the guitars”. The tempo slows down and the focus is put on a drum and keyboard combination that is used to create a unique atmosphere that sets it apart from the other songs. Emergence is an ambitious debut album that blends different subgenres of heavy metal together while showcasing some adventurous song-writing abilities that never fall short of the mark. Shylmagoghnar aren’t afraid to throw themselves in at the deep end and if they can continue down this path they will undoubtedly carve out a well-deserved niche within the heavy metal community. Thursday 01/10/15: An excerpt of this review has been published on Shylmagoghnar’s Bandcamp page at the request of the artist.